The writers of the ATI TEAS Exam are going live! You’ve got it, we’re hosting a Facebook Live event series starting March 2018. These events will cover everything from how to study for the exam to a session dedicated to prep questions. Mark your calendar! See the full schedule here. Who Is Hosting The Series? We’re turning to two of ATI’s best – Kristi Burgess, DNP, MSN and Michele Steinbeck, MNSc, RN, CNE. Allow us to introduce the hosts! Kristi Burgess, DNP, MSN is currently a client executive for ATI Nursing Education. Having earned a Bachelor and Master of Science in Nursing from Jacksonville State University (JSU), and Doctorate of Nursing Practice from University of South Alabama (USA), she has over 22 years of nursing experience with a focus in critical care, flight nursing, home health and nursing education. Prior to joining ATI in 2009, she served on the nursing faculty of JSU in the undergraduate and graduate programs. She is passionate about nursing education and student success! 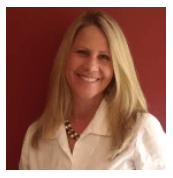 Michele Steinbeck, MNSc, RN, CNE is currently an ATI nurse educator for solutions support. She has over 25 years of experience as a registered nurse with a clinical focus in critical care, emergency department, surgery, home health and medical-surgical nursing. She received her bachelor’s and master’s degree in nursing from the University of Arkansas for Medical Science with a master’s degree focus on nursing administration and nursing education. She is NLN certified as a nurse educator. Prior to joining ATI in 2012, she served as a faculty member in an associate degree nursing program in East AR and Northwest AR. Steinbeck is currently a doctoral student pursuing a DNP in nursing educational leadership. Looking forward to seeing you LIVE! For more pre-nursing prep, visit our blog.